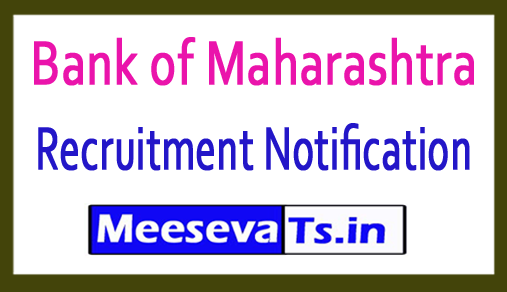 Bank of Maharashtra issued notification for the recruitment of 50 C, Cost and Management Accountant under Bank of Maharashtra Recruitment. All qualified and interested applicants can apply offline mode before the last date ie 23-09-2018. The following papers are given below: at the meesevats.in, admissions, important links, courses, cards, results like education qualification, age limit, selection process, application fee and how to apply. The selected candidates will get 23,700 - 980/7 - 30,560 - 1145/2 - 32,850 - 1310/7 - 42,020 from the organization. Interested and qualified candidates can download the website from bankofmaharashtra.in and can send their application on or before 23-09-2018. The prescribed format with photocopy of all relevant documents should be submitted to the address specified below.